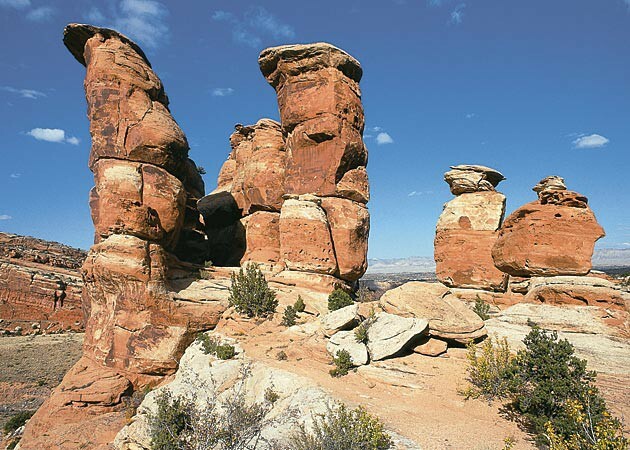 In Ute Canyon at the Colorado National Monument. 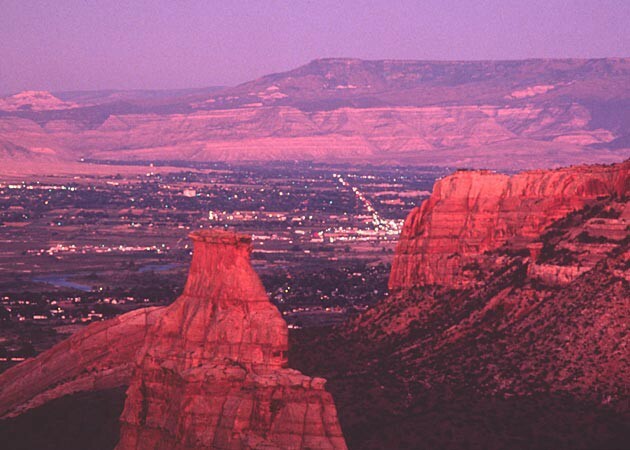 Colorado National Monument in Fruita, Colorado. 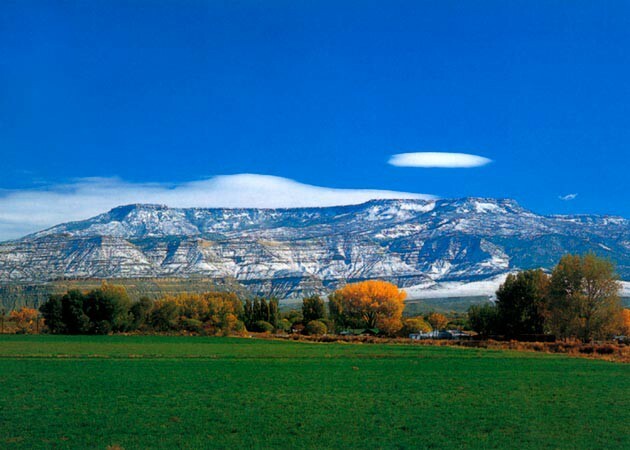 View from Grand Mesa toward Waterdog Reservoir and the Bookcliffs in western Colorado. 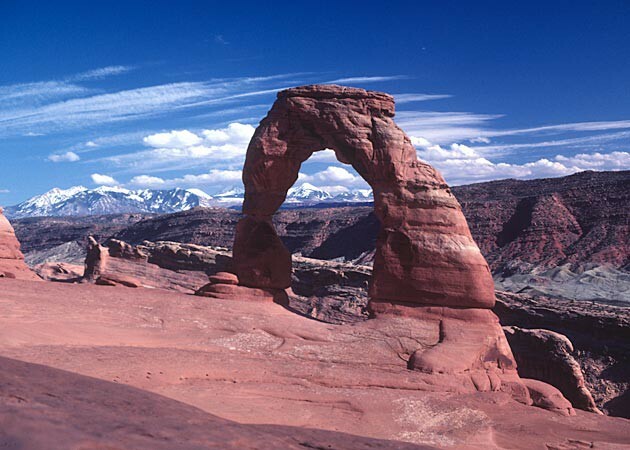 Delicate Arch in Arches National Park with La Sal Mountains in the distance. 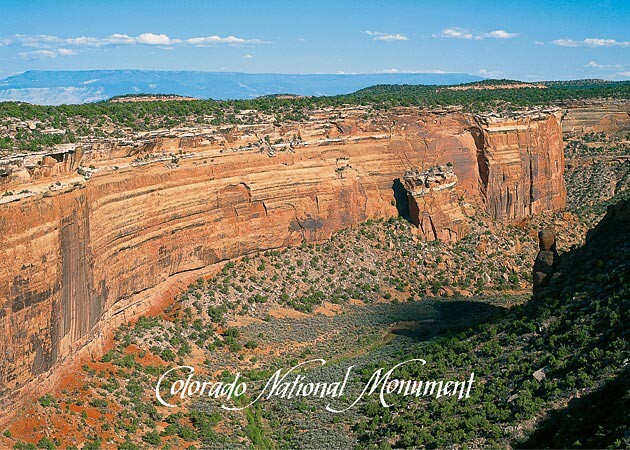 Colorado National Monument - Grand Junction view with Independence Monument. 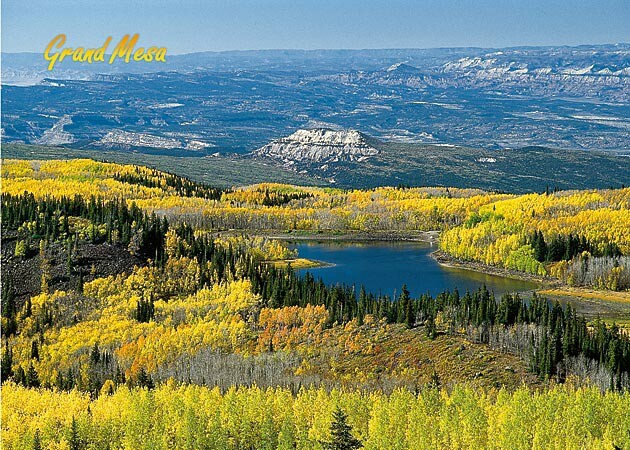 Grand Mesa has more than 300 lakes on its 625-square-mile summit with maximum elevation of 11,000 ft. above sea level.